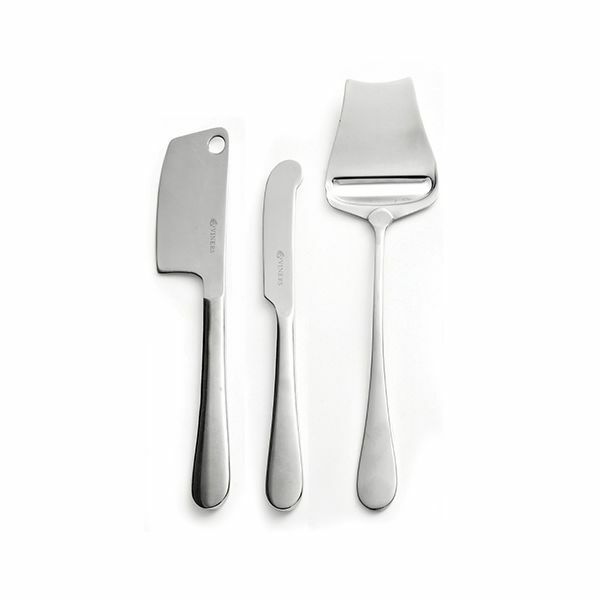 The classic teardrop design of this Viners Select 3 Piece Cheese Set allows you to cross co-ordinate with your current range of cutlery. A perfect gif for the cheese lover in your life, the set comprises 1x Cheese Knife, 1x Cheese Chopper and 1x Cheese Slicer. 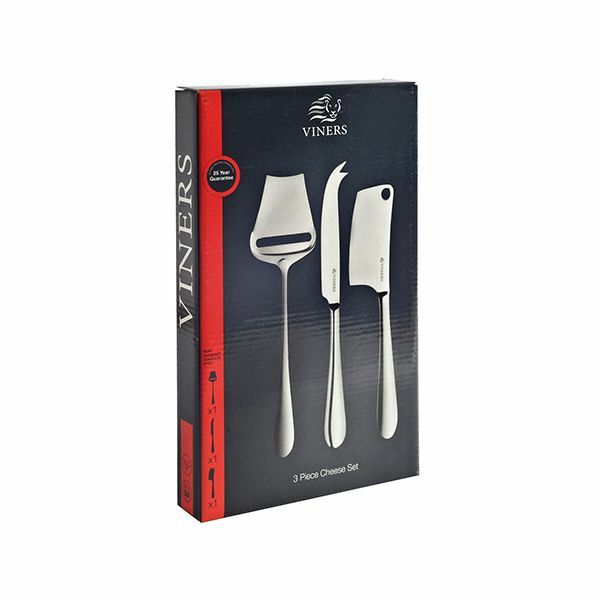 Made from 18/0 stainless steel with a mirror finish, this cheese set is dishwasher safe and comes with a 25 year Viners guarantee.